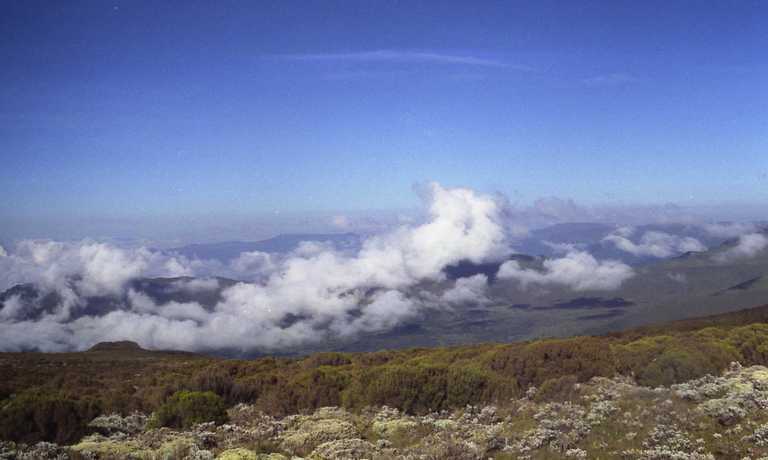 This 3 day experience fits perfectly into a longer itinerary and affords the opportunity to explore some of the lesser-visited sites in Ethiopia. Enquire about this trip if you'd like to include it as part of a larger holiday. Explore the colourful city of Dire Dawa. Visit the the Dire Dawa Railway Station, Kafira spice market and Awaday khat market. Feed curious hyenas with the famous Hyena Man in Harar. Explore the colourful city of Dire Dawa before heading on to Harar. The 1.5 hour drive takes you past the Dire Dawa railway station, Kafira spice market and Awaday khat market. 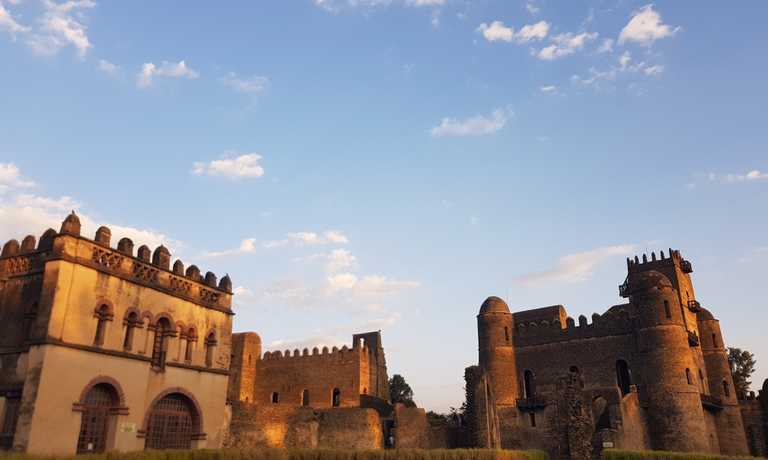 Being off the tourist trail is often a refreshing change of pace as you experience Ethiopia beyond its surface level attractions and meet amazing people. The walled city of Harar is a common favourite among travellers. Hundreds of alleyways meander past colourful houses and the locals are famously friendly. It's easy to get lost in the labyrinth but our Brilliant local guides can guide you through the city, recommend places to go, and talk you through the history of the town. 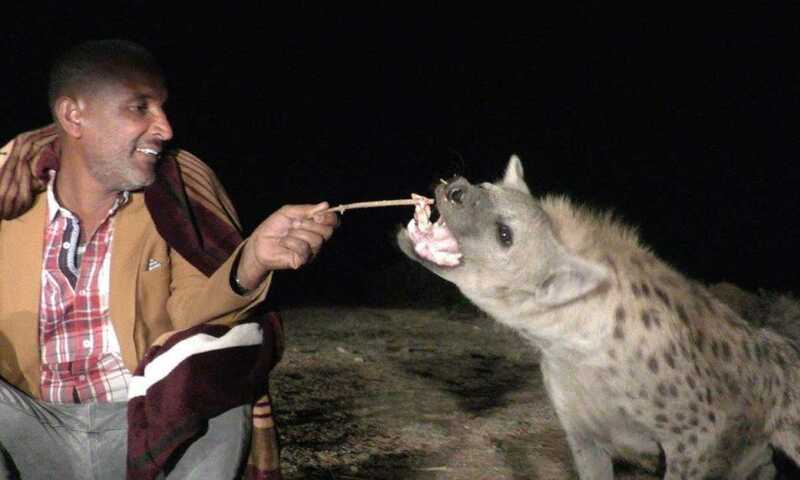 Spend the evening feeding curious hyenas with the famous Hyena Man. Have a relaxed morning before making the return drive to Dire Dawa (~1.5 hours). Catch an afternoon flight from Dire Dawa to Addis Ababa. Enquire about this module if you’d like to include it as part of a longer holiday. 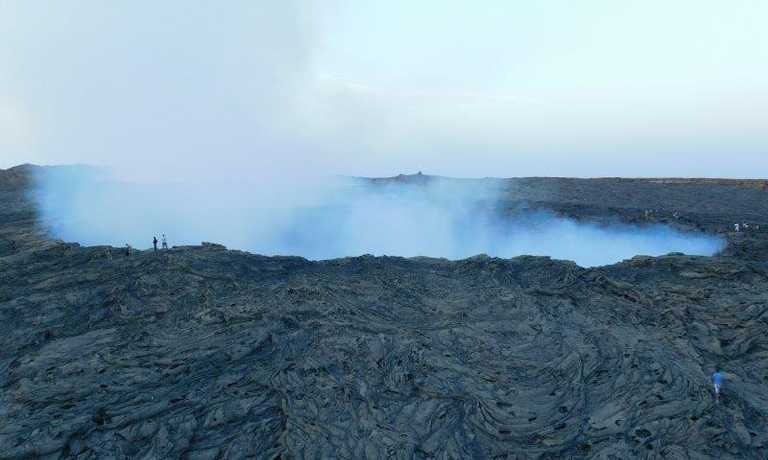 This trip can run as a group trip, with prices starting from $264 per person for a complete group. If you are looking to join a group or you are a solo traveller we will help to form likeminded groups of travellers. Please let us know your travel plans. The current total fare for the domestic flight(s) in the itinerary is USD $130 per person when Ethiopian Airlines is used for international flight. Otherwise the fare for the domestic flight(s) in the itinerary is $310 per person. Fares subject to change by airline. Airport transfers and road transport by private minibus. Accommodation based on double/ twin room sharing. Fees for entrances and local guides for activities mentioned in the itinerary. All government taxes for the services included in the tour price. International flights and visa fees. Lunches and dinners, unless stated as included above. Activities not mentioned or stated as optional in the itinerary. Fees for photos and video. Other personal expenses, souvenirs, tips and gratuities, etc.